What are the rules to Baccarat? - Casino Answers! 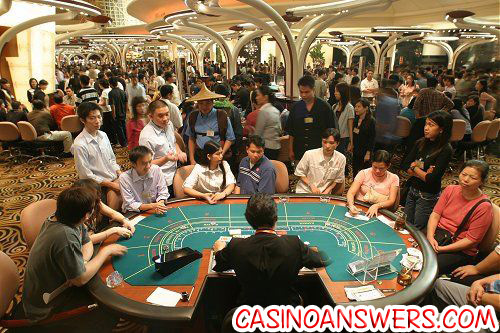 Casino Answers » Baccarat » What are the rules to Baccarat? What are the rules to Baccarat? We also recommend that as you read these rules, you play along. This will allow you to understand the game a lot better. Both Tower Gaming Casino and Gaming Club Casino have excellent baccarat software, and allow you to play for free. Both casinos also offer browser based and downloadable software options, with a very easy signup process you can follow along with ease. In Baccarat, there are two separate hands. There is the “Player” hand and the “Banker” hand. Please note that you are not the “Player” hand – it’s not like Blackjack. Both the Player hand and the Banker hand get dealt two cards each. This screenshot was taken at Tower Gaming Casino, playing Baccarat Professional. You don’t have to pick one hand – along with betting whether or not the Player hand or the Banker hand will get the closest to 9 points, you can also vote on a tie. Cards 2 through 9 count as face value, while 10s, Jacks, Queens and Kings count for absolutely zero points, and aces are allocated 1 point. Please also note that a hand of 8 or 9 points is called a “natural” and automatically wins the hand unless the other hand matches it in points and it results in a tie. Also if both hands are naturals of equal value and you bet on either the Banker or Player to win, then your bet will be returned to you and you won’t lose any money on that betting round. If neither hand is a natural, then a third card is dealt to both the Player and Banker, although there are usually some restrictions, like the players hand “stands” on a 6 or a 7 point total. Try out Baccarat today – the software at Tower Gaming Casino is excellent, and very fast. What if the hand value is higher than 9 points? This one is a bit tricky – if the hand value is higher than 9 points, then you have to remove the first digit. Basically in Baccarat assume that there is no point value higher than 9 – once it goes above 9 it starts all over at 0 again. For example, if the cards in the Banker hand were :9c: and :4c: then 9+4 = 13, but we drop the first digit, so it’s actually 3, or 3 points. How many cards are dealt in Baccarat? Up to 6 cards can be dealt in total in Baccarat. The first cards dealt are 2 cards to the banker, 2 cards to the player. There is then a round of betting(unless there is a “natural”), followed by up to 1 additional card being dealt to both hands. What are the payouts in Baccarat? If you bet on the player hand, you get a return of even money of you win. If you bet on the banker, you win even money minus 5%. If you bet on the tie, you simply get your bet back, known as a “push”. What is the lowest minimum even money bet online? Do you know any onlines casino’s that accept United States players and “ALLOW .25 CENTS OR LOWER MINIMUM BETS ON EVEN MONEY BETS”? Thank You and GREAT SITE!! Unfortunately, there are no online casinos that meet your criteria when it comes to low limit even bets on Baccarat. As a Baccarat player from the United States, the lowest stake option you have is at a Real Time Gaming casino like Slotastic Casino. At Slotastic Casino, they offer the lowest even money bet which is $1. That is the lowest minimum bet for an American player at this time. If you ever move outside the US, then you thankfully do have the option to bet for $0.25 and lower. You can bet even money bets for as low as ten cents at Tower Gaming Casino. Until then unfortunately, your best choice is Slotastic Casino. What is Baccarat? Where can I find Baccarat rules? How do I play Baccarat? 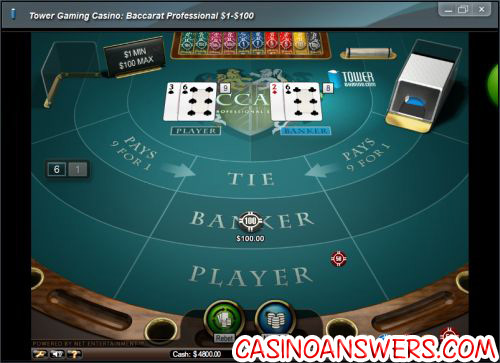 How to play Baccarat? Resources For This Article: Macau Tourism Guide for the image of players playing Baccarat.